There appears to be a slew of cases for the upcoming Samsung Galaxy Note 5 and Samsung Galaxy S6 Edge+ smartphones. Case manufacturers across the globe get access to the upcoming device dimensions, images, sketches and key specifications before anybody else. As a result, it helps them release the cases on time, parallel to the actual device launch. A Romanian online retailer named Mobile Direct, which is known for selling great accessories for smartphones, has apparently listed cases for Samsung Galaxy Note 5 and Galaxy S6 Edge. Meanwhile, Phone Arena says this company has a history of providing authentic information. Even in the past, photos showcasing the dummy versions of the Apple iPhone 5 and iPhone 6 were reportedly listed on the site. Mobile Direct apparently approached Phone Arena with several images showcasing the outer covers and cases for two of the high-end Samsung devices. Going by the listed images, the cutout for the camera unit and LED flash for the Galaxy Note 5 is reportedly quite different when compared to the predecessor Note 4. According to the new design, the Note 5 will house a camera configuration similar to the one seen in the recently released Samsung Galaxy S6 and Galaxy S6 Edge. This means that the LED flash unit will be located directly alongside the camera unit. Meanwhile, the predecessor sports the LED flash right beneath the camera unit. On the other hand, the Samsung Galaxy S6 Edge+ is believed to be the bigger sibling of the well-received Galaxy S6 Edge. But the hardware configurations of the devices reportedly vary. Inside, the Galaxy S6 Edge+ will apparently be powered by a Qualcomm Snapdragon 808 processor, while the Galaxy S6 Edge comes powered by Samsung’s own Exynos 7420 chip. Anyone can check out the cases of both Galaxy Note 5 and Galaxy S6 Edge+ from Phone Arena. 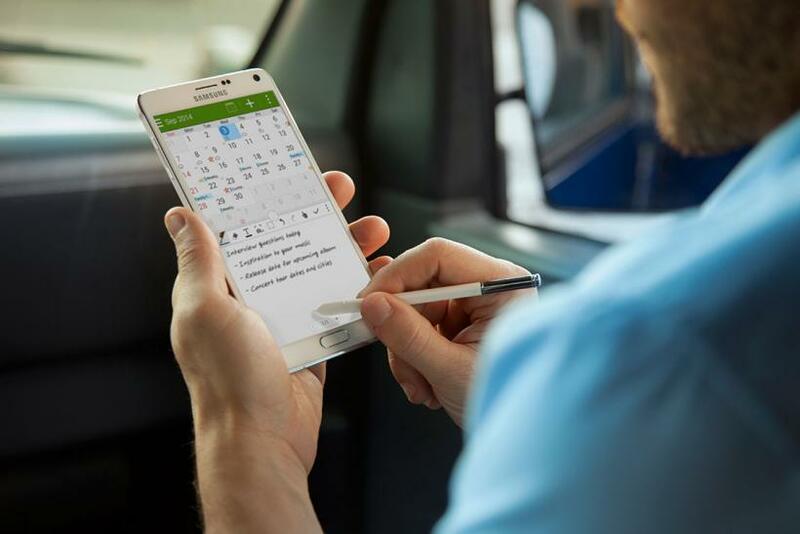 As far as the rumored Galaxy Note 5 specifications go, the handset will reportedly sport either a 5.4-inch or 5.5-inch Super AMOLED display. Plus, a 16MP rear-facing sensor along with support for OIS is believed to be part of the device. To top it off, a generous 8MP secondary shooter for selfies has also been tipped. Other reported features include 16GB of native storage and 4GB of RAM. Samsung has not so far confirmed the Galaxy Note 5 or Galaxy S6 Edge+ specifications.